Looking for an honest review of Fender Play? We’ve spent the last few weeks getting to grips with the Fender Play platform, via both the IOS App and the Desktop version. And honestly, we’re impressed. But, you’re going to want to see exactly what Fender Play is like, it’s features, layout, and ultimately what you get for the money. You’ll find all of this and more below. 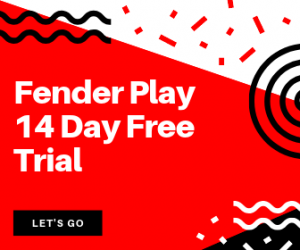 Before we get started, if you’ve already made your mind up about Fender Play then you get get started with a 14 day free trial at the banner below. Just be aware that you have to cancel the free trial 24 hours before the expiry date to ensure your account is not billed! Now, let’s get into learning guitar online with the brand that everyone knows and loves! 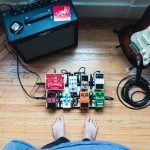 For the purpose of this review we’ll be looking mostly at the mobile version of the app, as from our circles this appears to be the most popular way that people use Fender Play. We’ll also go in-depth about the desktop version, but let’s just say this straight away; We genuinely love the app. It’s clean, has zero learning curve in terms of usability, and is very easy to maneuver from lesson to lesson or across different features. The app is suited much more to efficiency of navigation, as the menu and accompanying menu items are stored at the lower menu level of the page, and you can instantly click back on to where you left off. The desktop version of Fender Play can be a little slow on devices with poor connections, and is a little ‘busier’ in terms of layout however if you know exactly what you want to do then it’s still very easy to find what you’re looking for. The desktop version is suited much more for players looking to browse all the features of the app, most notably to browse lessons and guides/articles which look both minimal and modern on a laptop or PC. All in all, the design and layout are great, particularly if you go into the app to learn exactly what you have in mind. 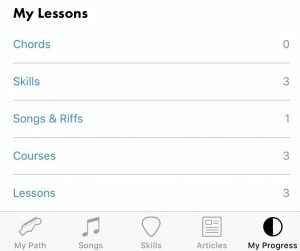 The lessons within the app are largely what most players read this review for, especially those who’ve been stung or felt cheated from other online guitar lesson providers and simply just want to be reassured that they’ll be investing in online lessons that work. 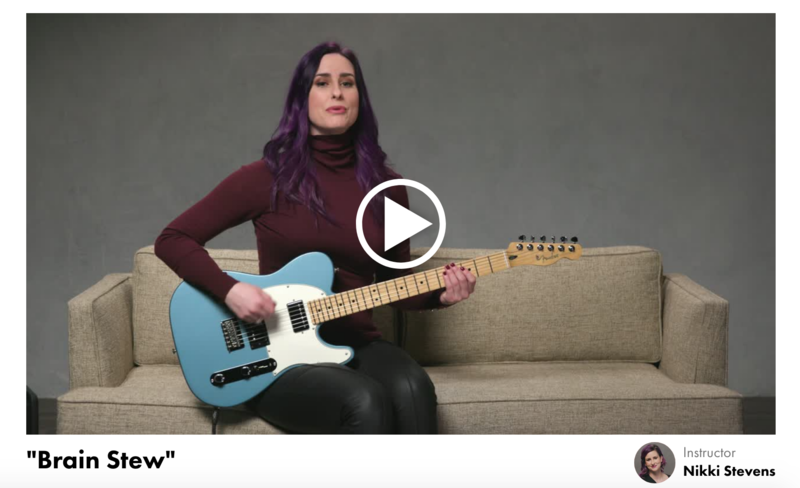 And, here’s the thing with Fender Play… the lessons are brilliant. We’ll break down what you should expect based on your guitar playing abilities, the songs you want to learn, and the skills that you can acquire. The lessons you choose start with selecting a ‘path’, based on a genre and what you want to achieve from the online lessons. This is a fantastic way to immediately ensure a new player is engaged, as it means lessons are tailored to your favourite genres, artists and styles of music, so you’re much more likely to stay focused on each path. 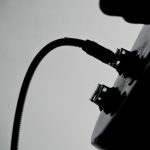 The ‘basics’ category of the desktop version works well for browsing, with basic video lessons listed from A-Z covering blues phrasing, chords for beginners, strumming patterns, and even how-to’s on setting your guitar up and getting plugged in. 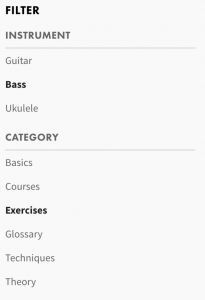 What’s also cool is that, within each lesson, you can cycle through forms of tablature, music notation, and even chord variations up and down the fretboard. Lessons follow ‘levels’, with each level increasing in skill and knowledge as you progress on the guitar. As you progress throughout the path you have chosen, lessons will naturally get more in-depth and start to pick up pace, therefore it is a little difficult to skip between levels without following the right track. Then again, if you’re already familiar with the genre and what to get stuck in, it’s very easy to skip to the point you require. And, what’s awesome is that as the lessons get a little more difficult, the songs you learn reflect the level of skill required. As you can see below, we skipped from Level 1 to Level 2 on the Blues path, and you can see the difficulty level (rated via the blue plectrum rating system) slightly increase. You can then see how Level 5 starts to tie all the skills you’ve learned together whilst also introducing new techniques, and songs that reflects the higher difficulty levels. 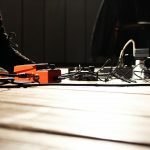 The songs that you learn will largely reflect which path you’re on, however as with all features you are not confined just to the genre path you’ve chosen. 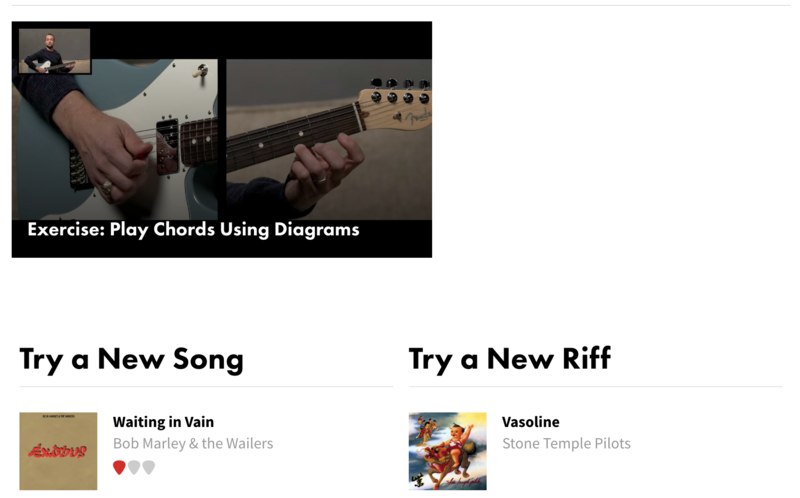 The ‘songs’ section allows you leave your path and discover featured songs (usually the most common songs that beginner guitarists want to learn), and you can also go a step deeper by filtering songs by instrument, difficulty level, genre, type (whether a song or a riff), and by recent uploads. Each song or riff is then taught in exactly the same way as the lessons on your chosen path, via video instruction from teachers with accompanying chord charts and tablature to make playing along that much easier. Skills are broken down into two parts: Skill Overview and Skill Exercise. We really like the way that skills are first introduced via an overview video from the teacher and explained in detail (with examples given) before going into the exercise section, as it allows players (particularly beginners) to understand why a certain skill is important and see real examples of how they’re used before being taught the skill in question. What’s also good is that many of the skills across all ‘paths’ are similar e.g. phrasing or alternate picking, however they’re shown in a way that relates to your chosen genre, meaning that as a new player you’re much more likely to stick at it. Additionally, the skills are musical in nature. This might not sound like a lot, but for guitarists such as ourselves who grew up with VHS tapes telling us to alternative pick monochromatic sequences until we’re blue in the face, it’s a welcome break to see skills being taught with an actual musical value to them! To be totally honest, we only have one very slight critique in relation to what’s missing in the lessons and skills sections. We just feel like the series could dive deeper into music theory for advanced players, or players making the transition from another instrument who already have a background in basic music theory and want to look at advanced theories in-depth, e.g. a detailed course on modes with a theory-based background. That’s not to say that the app doesn’t contain this already, and we’re sure that courses are being added all the time (at the time of writing this statement will probably already be wiped out with the latest advanced course additions). Having used other lessons before, Fender Play is easily the best out of the bunch in terms audio and video quality. Arguably because the courses are the most modern of the lot, but it even exceeded what we were expecting. No issues here! The articles are a nice addition, but honestly they feel like a bit too much overkill in terms of advertising Fender products. That’s not to say that the articles aren’t useful, and they’re particularly great on the mobile app when you’re wanting to take a quick break so you can read up on FAQ’s and tips on guitar maintenance and how-to guides (a lot like a certain review site you’re reading right now…). The progress tracker is a really cool feature, especially if you’re not one for practicing regularly and may easily forget where it was you last were when practicing. You can simply head over to the ‘My Progress’ tab and click on the video or lesson you left off at, or scroll down to see completed lessons, songs, paths, skills and courses if you’re looking to go back over anything again. The addition of bass and ukulele lessons is another feature that sets Fender play apart from the competition. What’s awesome with the Bass section is that lessons are geared both towards beginner bass players and curios guitarists who want to get stuck in to the four-string world. It’s also really easy to filter between whichever instrument you want to learn. All lessons and courses are presented in the same way as the guitar path, with real-world examples and skills shown such as the popular ‘How to jam with a guitarist’ bass lesson course. 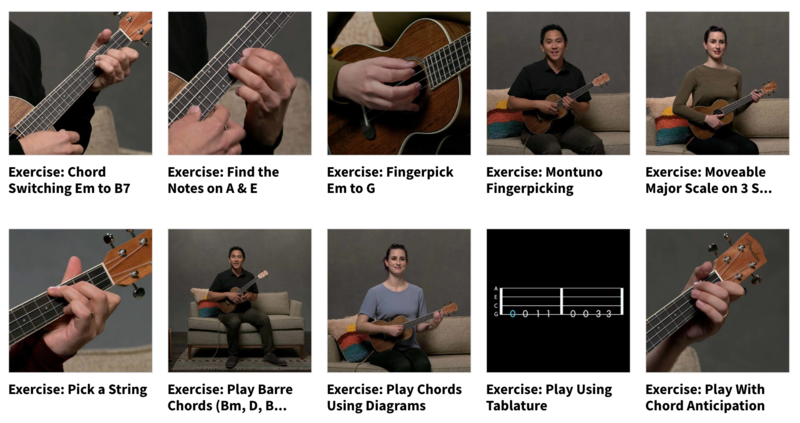 The ukulele lessons also go super in-depth, we were honestly surprised to see such a focus on technique and strumming, assuming that this side of the site would be dedicated just to novelty songs that guitarists can pick up easily. This is not the case at all, so if you’re serious about getting to grips with the ukulele and having lessons online that go beyond the standard 4 chords, then this is definitely the one for you! Seriously, is there nothing they’ve not thought of? 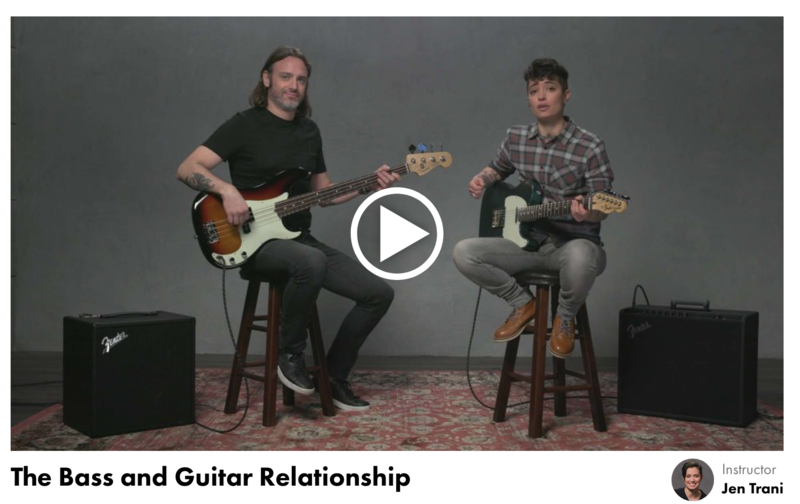 In every video there is a ‘Tools’ tab which links out to the Fender Tune app, an app that provides a tuner, metronome, pre-programmed drum beats, chord charts and scales to support and go into even greater-detail alongside the lessons. We could write (and probably should) a whole other review on the best apps for guitar players, however it does make sense to download the Fender Tune app too if you’re jamming along to the Play app. Plus, what’s not to love about a free app that does exactly what it says on the tin! After the trial, the Fender Play course costs $19.99 per month, or £9.99 for UK residents. Once signed up the app, you will be offered to purchase membership annually with savings of 25% and further discounts on Fender products on their online store. *All prices and offers were correct at the time of writing. Fantastic for beginners, very easy to use and is so in-depth that it’d be hard to get everything completed and covered within the trial period. The app and desktop version can be a little slow, however bugs and fixes are always expected for something that’s being updated all the time. Lacks a little in the advanced areas, but courses are being added all the time so this isn’t a major issue. Pricing is fair and it’s significantly cheaper than paying a guitar tutor for one-to-one regular lessons. We really love the ‘Choose a path’ feature. It’s easily the best way to keep beginner guitarists engaged, particularly useful if you’re thinking about getting your children involved with the guitar as this would be a great way to do so by having them start out with the songs and styles they love. 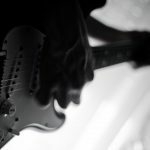 Compared to the other online guitar lessons we’ve used, Fender Play blows them out of the water. 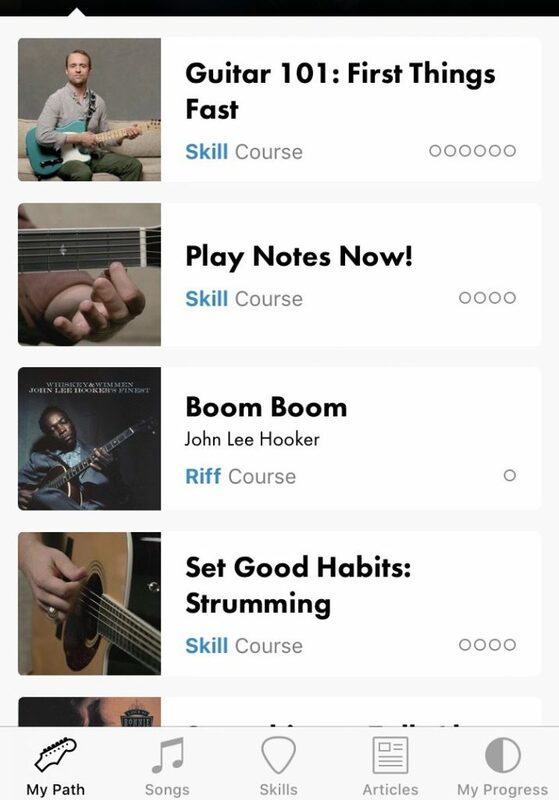 As with anything that is constantly updated there are certain features and courses that can be improved or added to, but what’s nice to see is that Fender are actually developing the app alongside what users are looking for. 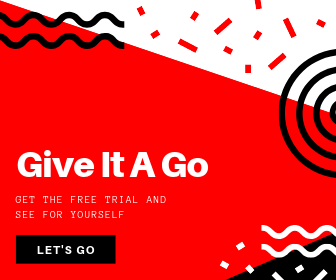 If you’re looking for online guitar lessons that are fairly priced, easy to follow along with and come with enough material to keep you going for a millennia, then make sure you get the free trial and give this a go for yourself.